Located in Madera County, just south of Yosemite National Park, the Sierra Vista Scenic Byway (www.sierravistascenicbyway.org) makes an excellent detour on the way to or from the park. Unfortunately it takes five hours to drive the entire 100-mile route straight through; and quite frankly most people don’t have that amount of extra time. 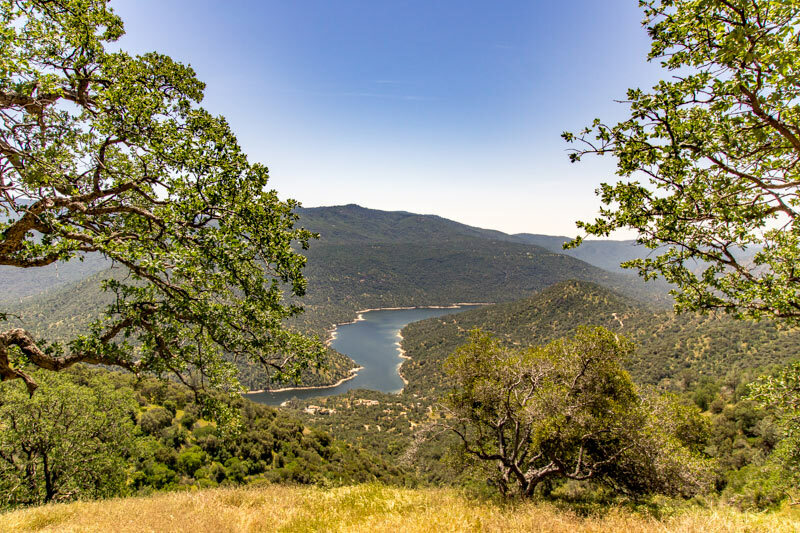 That said, you can drive an abbreviated route, and get a gorgeous view of the Sierra Nevada Mountain Range at one of the most accessible stops along the byway. Finding the Sierra Vista Scenic Byway is easy. Just take Highway 41 north in Fresno, then turn right on Road 200 and continue on towards North Fork. Once you reach this mountain hamlet, continue through town on Road 225, which soon turns into Minarets Road. Congratulations — you’re now traveling on the Sierra Vista Scenic Byway. Although one section of the byway narrows to a graded dirt road, this abbreviated route travels along a two-lane paved road; and although there are some sections in need of repair it’s easily passable in a car. Shortly after the beginning of the byway you’ll pass Redinger Overlook on your right, before the road winds around to Mile High Overlook. Named for its elevation, Mile High Overlook includes accessible parking in a paved lot, with curb-cut access over to the viewpoint. Along the overlook there are interpretive panels which point out the peaks in the distance. 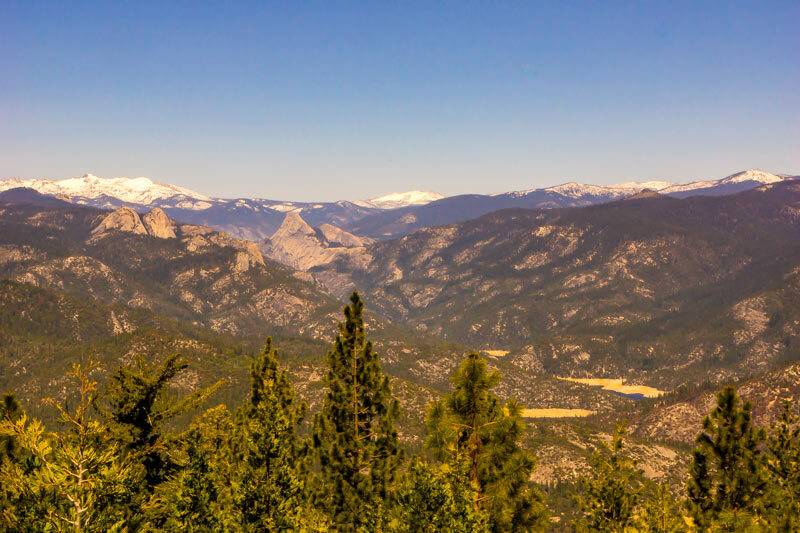 You’ll get a good view of the Minarets, Mount Ritter and Mammoth Mountain; and although there’s evidence of the French Fire, which burned through the area in 2014, the view is still pretty impressive, and the forest is starting to regenerate. Accessible vault toilets — which are in short supply along the byway — are also located in the parking lot. It should be noted that although a 15 mile stretch of the byway in this area was also burned in the French Fire, the landscape and the evolving forest are still quite interesting. Continue along the byway on Minarets Road, then take a left on Grizzly Meadow Road, which dead ends on Beasore Road. From there, make a left turn and follow the sign to Bass Lake, then take a right on road 274. Before you know it you’ll reconnect with Highway 41, where you can turn right and continue on to Yosemite National Park. And although it’s a lovely drive, be forewarned that it is a seasonal road. The Sierra Vista Scenic Byway routinely closes in the winter, as it’s not plowed and the snow can get pretty deep. So give it a try in the summer and early fall, the next time you’re on your way to Yosemite. It’s definitely a five-star detour.